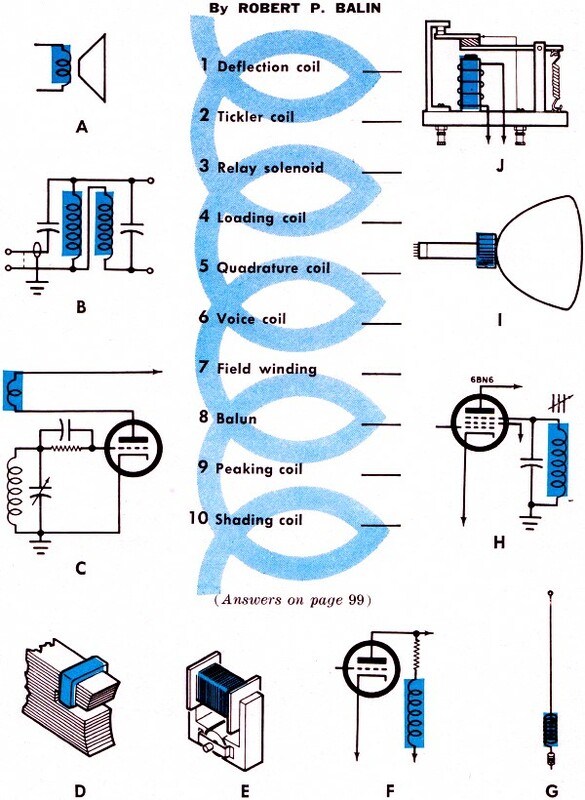 Here is a quick, 10-question electronics-themed quiz about coils (inductors). 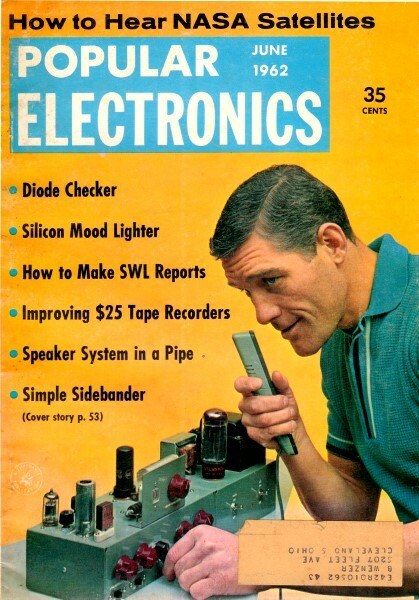 It appeared in the June 1962 edition of Popular Electronics magazine. Don't be scared off by the vacuum tubes that appear in three drawings. Just pretend they are transistors - it won't affect your answers. One of the coil applications is almost obsolete for most people as the nature of computer monitors and TV screens has changed significantly in the last decade. Coils used in electronic circuits often acquire special names which roughly describe their chief function. 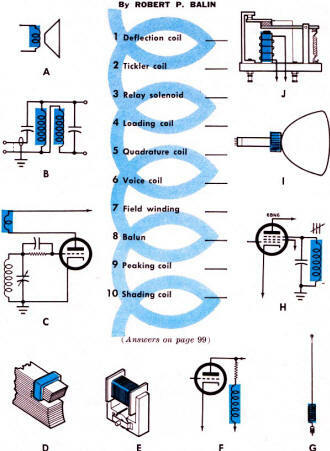 See if you can match coil drawings A - J with the "names" below. Popular Electronics published many quizzes over the years - some really simple and others not so simple. Robert Balin created many of the quizzes. This is a listing of all I have posted thus far.